A great book everyone should read and apply! Carnism is the belief system, or ideology, that allows us to selectively choose which animals become our meat, and it is sustained by complex psychological and social mechanisms. Like other "isms", carnism is most harmful when it is unrecognized and unacknowledged. Why We Love Dogs, Eat Pigs, and Wear Cows names and explains this phenomenon and offers it up for examination. 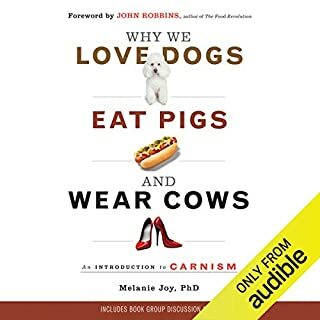 Unlike the many books that explain why we shouldn't eat meat, Joy's book explains why we do eat meat. 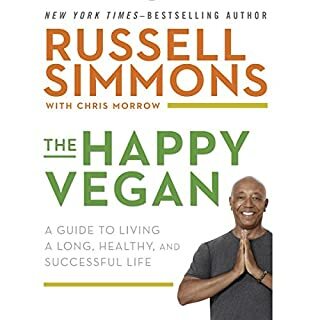 In The Happy Vegan, Simmons shares how once he started practicing yoga and meditation, he became more conscious of his choices, particularly the choices he made regarding his diet. Simmons first adopted a vegetarian and then vegan diet and almost immediately began to experience the physical, mental, and emotional benefits of eating green and clean. Interesting. More aimed at non-vegans though. will read/listen to it again. Everything you need to know about nutrition, diet, disease prevention, and management with a plant-based diet. 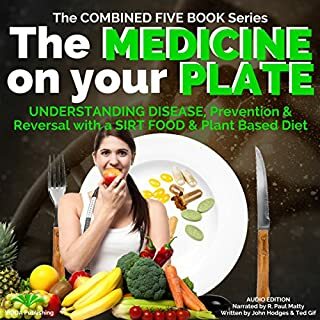 This five in one book gives you the current scientific research that will help you make the correct nutritional choices to allow your body and immune system give you a long, healthy, and vibrant life. Can you thrive without it? The Sunday Times best seller. How Not to Die gives effective, scientifically proven nutritional advice to prevent our biggest killers - heart disease, breast cancer, prostate cancer, high blood pressure, diabetes - and reveals the astounding health benefits that simple dietary choices can provide. Based on the very latest scientific research, How Not to Die examines each of the most common diseases, chapter by chapter, to reveal what, how and why different foods affect us and how increasing our consumption of certain foods and avoiding others can dramatically reduce our risk of falling sick and even reverse the effects of disease. With emphasis on individual family health history and acknowledging that everyone needs something different, Dr Michael Greger offers practical dietary advice to help you make valuable decisions about your diet in order to live a longer, healthier life. 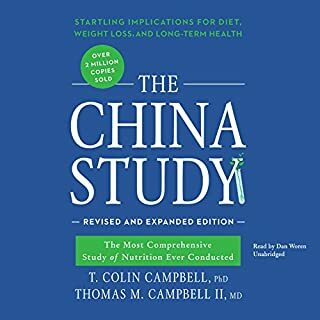 I struggled through this one from time to time, with all the talk of death in the first section, & nutrition information that was at times contrary to what i have learned from other sources. Still, it's good (if not confusing and overwhelming) to get alternate information on the 'facts', & i will continue to endeavour to learn more. Michael provides excellent pro and con examples for every chapter as well as any possible cause and effect examples.. any debate or argument you could raise he is one step ahead and explains everything. this book is an amazing investment for your health and there is no gimmicks or selling.. just natural food to feed the body and soul. Great knowledge but very detailed! 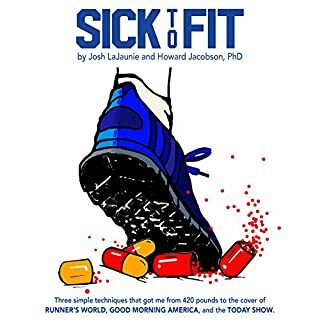 The best health book. Seriously. I have listened to this over and over again and will continue to do so. I want to be able to recall every single point from How Not To Die- it is such good information. If you want to die soon, definitely don’t buy this book. If you want to prolong your life- buy. Now. Put into practice. Now. Although a great book, at times the narration was a little annoying. The content was really interesting nonetheless. Loved every minute of this must read book. Dr Gregor was an engrossing and entertaining narrator . Highly recommended. 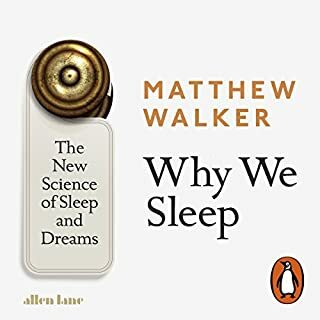 The major criticism i have of this book is that if a medical study only includes 10 people then the data is too poor to draw a conclusion from. I feel like the authors have drawn the conclusion (don't eat meat) and then just spent there days searching for information of ANY standard to support his theory. If you are search for an objective and fact based summary of the best knowledge out there you have come to the wrong place. There is some great information in here, but the author repeatedly blows his credibility with silly data. Could have been an amazing book! 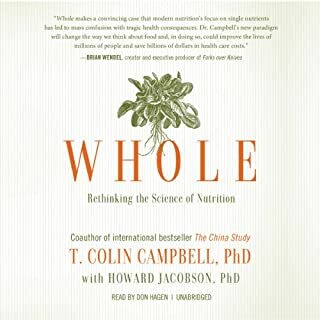 Brilliant book, it explains nutrition beautifully and is Narrated in great form. Im so glad I found this book, as it has fuelled my knowledge and made becoming healthier, fun and interesting. 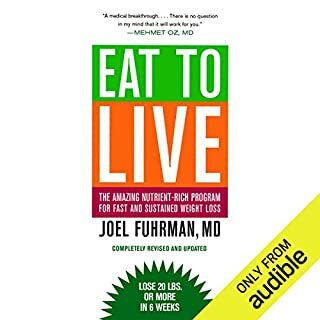 Best book by far that I've listened to about health and nutrition. I would Definitely recommend. This book made me question many food beliefs I've held for 2 decades. Would recommend this book to anyone, already have my mum reading it! Can't go back to my old ways after this. Thank you Dr. I miss the book already! I'll listen to it again in 1 year to make fully use of all the practical tips! 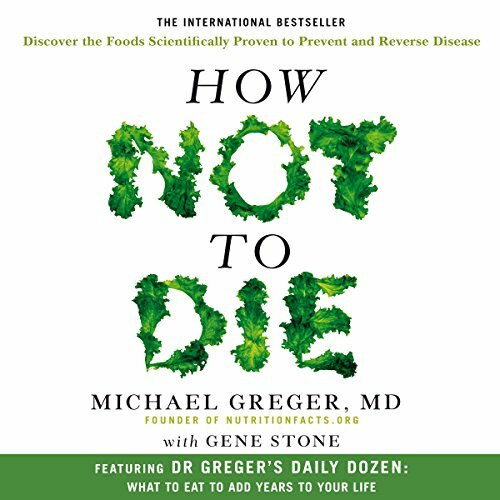 All you need is this one book, and this one man Dr. Micheal Greger for all the answers in your quest for a healthy living. I wish I read this book when I was 20!!! Reading it now at 50 has changed my life for the better. If you have to read only one book on nutrition during your lifetime, that's it. If you also put it into action you will certainly live a longer and happier life. 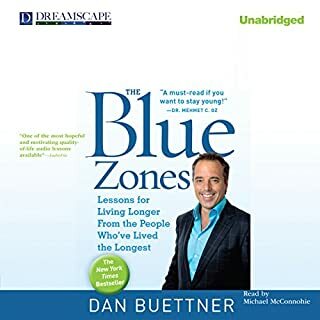 I’ve listened to more than 300 audio books mostly about motivation, meditation, lifestyle change, health, nutrition etc. But this book by far is the best book I’ve ever listened to. I was thinking of cutting down on meat for the last 5 years and move to organic slowly. 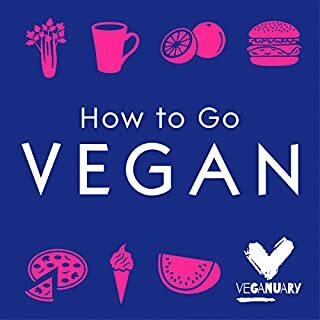 But after 2 hours of listening to this book I turned vegan. Yes, not only I quit meat, I quite eggs, dairy, fish oil, bone broth and anything that is animal based. It’s amazing how much information food industry hide from people. I’ve encouraged my family to cut down on meat, eat more fruit and vegetables and stop having all these supplements that cause more harm than good. Thanks for sharing all these amazing honest valuable information. I’m going to join the website and support it to make more people aware of this unhealthy food habit pandemic that kills our loved ones in the most cruel ways possible. All number one killers like heart attach, diabetes, cancers, strokes etc. are directly linked with nutrition particularly animal based products. I normally don’t write reviews but I had to do this. Thanks for changing my life. 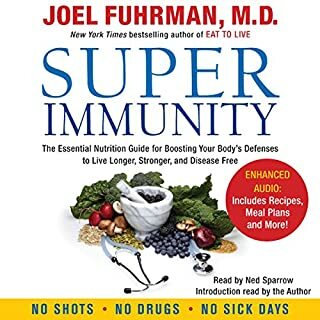 It took me 4 weeks to finish this book and I’m already feeling super healthier, skin looks amazing, acid reflux symptoms are reduced and it’s only going to get better. I would recommend anyone who is interested in nutrition or health. Have you listened to any of Michael Greger’s other performances? How does this one compare? Watched his youtube videos. This is organised and portable. Audible have not released the PDF referred to multiple times. Really poor from audible. Disappointing. 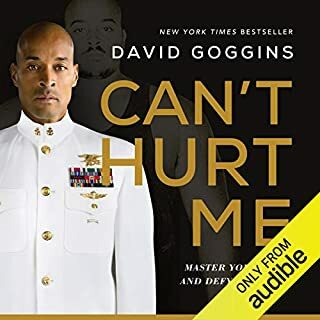 Please audible release the PDF that comes with this book, it is mentioned so many times :(. 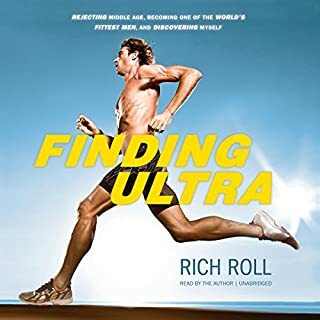 For someone who, back in my school days, was not able to digest any sort of scientific terms, this audiobook was suprisingly easy to listen to. Dr Greger is incredibly funny and it is a pleasure to learn from him. Not only can you find a lot of facts about nutrition, diet and all sorts of weird and wonderful scientific research, you can also laugh out loud. 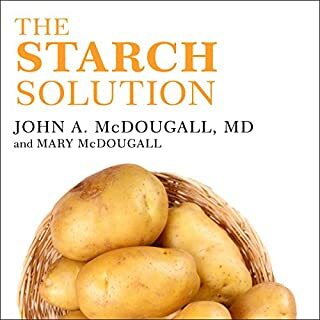 I recommend this book to everyone who likes a bit of a fun fact and/or scientific research, to all the vegans or those advocating healthy eating, those who struggle with poor health, those who don’t want to age, those who want to have energy for their kids, the ones who consider food to be the best medicine and those who think modern medicine will help them out when they start aging. Anyone and everyone who cares about educating themselves even a tiny amount will enjoy “How not to die” because it is a brilliant book! Thank you Dr Greger for your “labour of love”! if you only read one book, make it this one. It might not make you change your diet, but it will certainly make you see what you eat in a new light. I read this a month ago and I'm still not dead yet. Would recommend to anyone not wanting to die. Pretty hard to fault. Not many books are literally life-changing, but this one is. This is not fluffy, hippy feel good stuff. it's hard science that spades on the facts until you would have to be a halfwit not to change the way you eat. 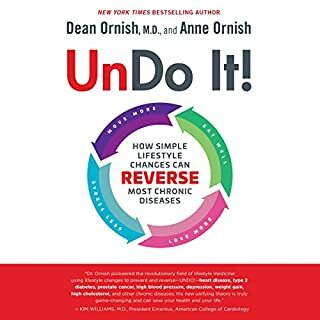 Having read a fair share of publications on cholesterol and heart disease, it seems to me that some parts of the book pertaining to this topic are incorrect. Otherwise, an interesting read. 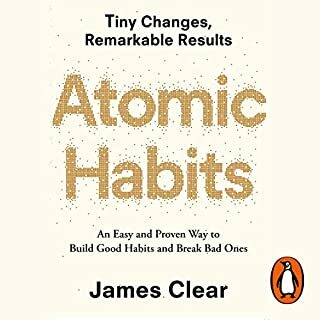 Great book and highly recommended. The wealth of knowledge put into this book is seriously impressive. 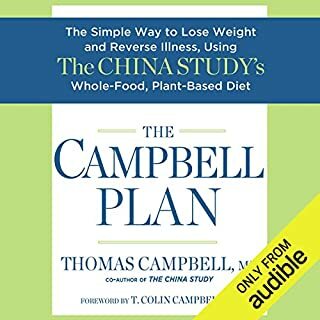 This is an essential book for those who are looking to make the type of changes in their diet that will last them for the rest of their lives! Dr Greger is an amazing narrator, so entertaining that I didn’t mind the dozens of times I was told to eat greens to cure everything! The content is also so rich (it doesn’t just tell you to eat your greens) there is lots of useful information about specific plants, spices, fruits. It was a delight! I will miss you Doc!